It is appropriate to mark the recent centenary of the first "Jellicoe Special" which ran between Euston and Thurso on February 15 1917. At the time, the Grand Fleet was based at Scapa Flow in Orkney. This had involved some very complicated ad hoc travel arrangements for sailors returning to the UK on leave. Regular train services were not always able to cope with the numbers involved, so the special service was set up running on weekdays once a day in both directions. The service lasted until a few months after the armistice and nearly half a million passengers were carried in total. 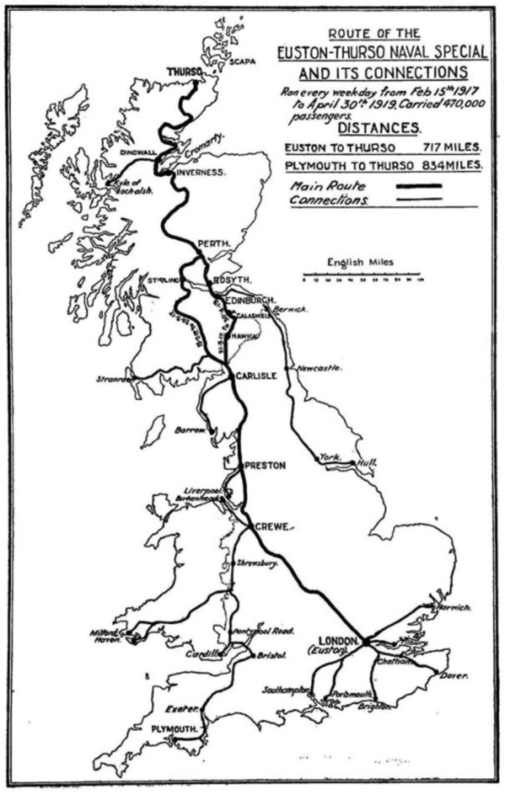 Running for 717 miles, it was the longest scheduled UK service that ever ran. 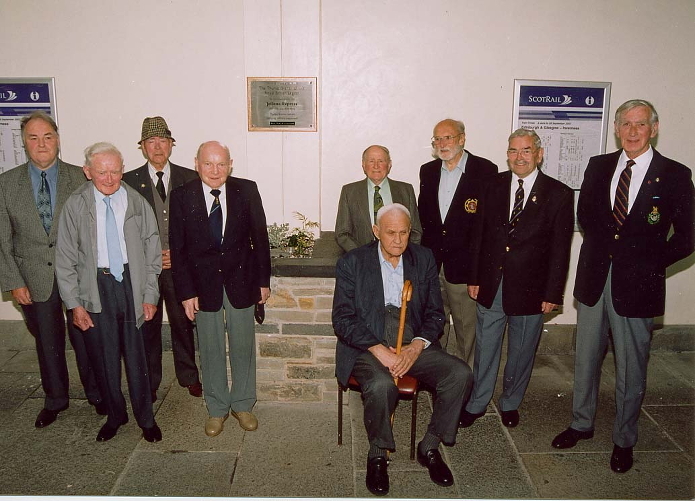 Similar trains ran in WWII and in 2002 a plaque was unveiled at Thurso station to commemorate the "Jellicoe Expresses". 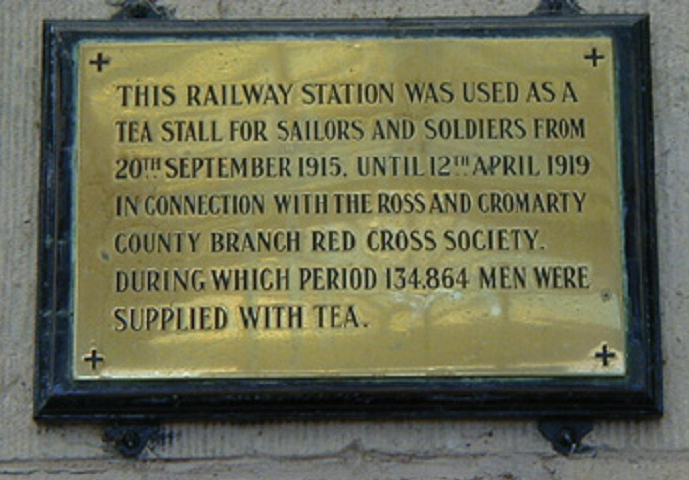 Another plaque exists at Dingwall station commemorating the tea stall, provided by Ross & Cromarty Red Cross Society, which served an astonishing 134,864 men between 1915 and 1919. There is an article on our website about the unveiling in 2002.